Provide a direct link to your help desk and have customers bypass the login screen. 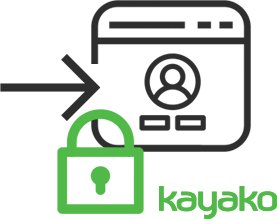 This module allows Kayako Resolve & Fusion end users to login automatically by clicking on a direct link sent on Kayako email messages (autoresponder, staff reply, forward and autoclose emailsNEW). This link will redirect the end users to the ticket and will create a session automatically, for security purposes the email address, password and ticket id is encrypted. DirectLogin DOESN’T WORK when LoginShare is enabled, please make sure you are not using this feature. Compatible with Kayako 4.40 and newer. Now this module can be easily installed and disabled from the Admin CP. When your customers send a ticket, an auto-responder email message (if enabled) will be sent to them. This email message will include the DirectLogin link at the bottom. 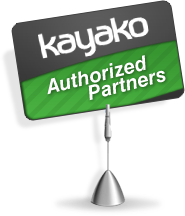 After clicking on the DirectLogin link they will be automatically redirected and logged into the client interface of Kayako, they will land exactly on the ticket they just submitted. The DirectLogin link is also sent on staff replies, forwarded messages and autoclose emails. All your customer information is encrypted in the DirectLogin link.